Today was SUCH a blast guys! 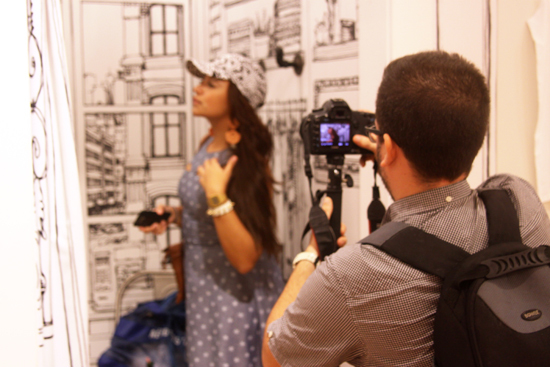 I went to this amazing event organized by Aéropostale with all my fellow Panamanian fashion bloggers. Before I get to that, here is a quick look at the outfit I wore to the event. I went with these super chic (and uber comfy) palazzo pants with a simple white top. En Español - Hola todos!! Hoy fue una día TAN chevere porque tuve la oportunidad de ir a un evento organizado por Aéropostale con todos mis compañeros bloggers panameños. Pero antes de contarles todo lo acontecido, aquí les dejo con unas fotos del outfit que me puse para el evento. Hoy decidí ponerme estos pantalones palazzo que son super chic (y a la vez muy cómodos) con un top sencillo blanco. Ok, now back to the event. 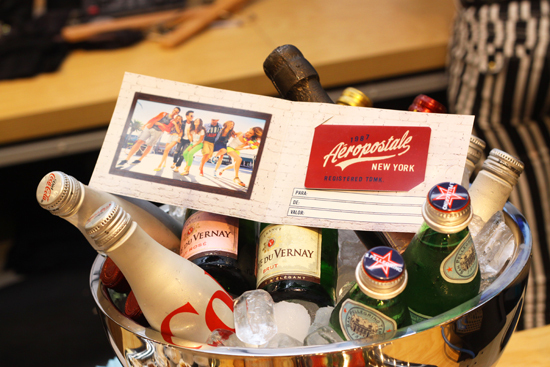 Aéropostale was so kind as to invite all of us fashion bloggers to a fun afternoon of shopping and brunch. Basically we all ran around the store trying on their pretty clothes and making outfits (as we nibbled on yummy treats and drank bubbly champagne). Ok, ahora sí les cuento todo sobre el evento. Aéropostale fue tan amable como para invitarnos los bloggers a una divertida tarde de compras y brunch. Básicamente pasamos la tarde paseando por la tienda, probándonos ropa bonita, y haciendo outfits (todo mientras disfrutábamos de unos ricos bocadillos y de champán burbujeante). I had SO much fun going through the store picking clothes and making outfits with all my fellow bloggers. Everyone was so silly and lighthearted, it really made the whole event special. In the end, Aéropostale was so kind as to gift each of us an outfit from head to toe! How cool is that right?! Fue tan divertido poder pasear por toda la tienda haciendo outfits con la ayuda de mis compañeros bloggers. Todos estabamos como en un humor alegre y divertido lo cual hizo que el evento fuera aun más especial. Al final de la tarde, Aéropostale fue tan amable de regalarnos a cada uno de los bloggers un outfit de pies a cabeza. Que chevere no?! Aéropostale also put together a short video of this amazing event. Take a look at the below video to see what the event was like as well as shots of me being silly, haha. I want to thank Aéropostale for inviting me to this super fun event! Quiero agradecerle a Aéropostale por haberme invitado a un evento tan divertido como este! Muchísimas gracias!! What a great and fun opportunity! Cute video too- looks like you all had such fun! Love all the outfits you picked out - so colorful and perfect for summer. I really like the maxi dress you picked out! Gorgeous palazzo pants too you wore to the event! Thank you very much Jody!!! Yeah, this is the same store I posted about a month or so ago. It indeed was so much fun!! Hello Foni!! Thank you so much! Hahahaha you are not the first person to say that I am a forever 21 girl and you are completely right. I absolutely LOVE forever 21's pieces, they are so affordable and on trend. I buy pretty much all of my clothes there. Soon they are opening a store in Panama, I can't wait! Thank you so much Mica!!! I'm glad you liked what I wore and picked out! This looks like so much fun!! I'm loving all of the photos girl! And you have the cutest style! Thank you so much Adriana, I really appreciate it! That sounds like so much fun! It looks like y'all had a blast! Thanks JB!!! We did have a super fun time!